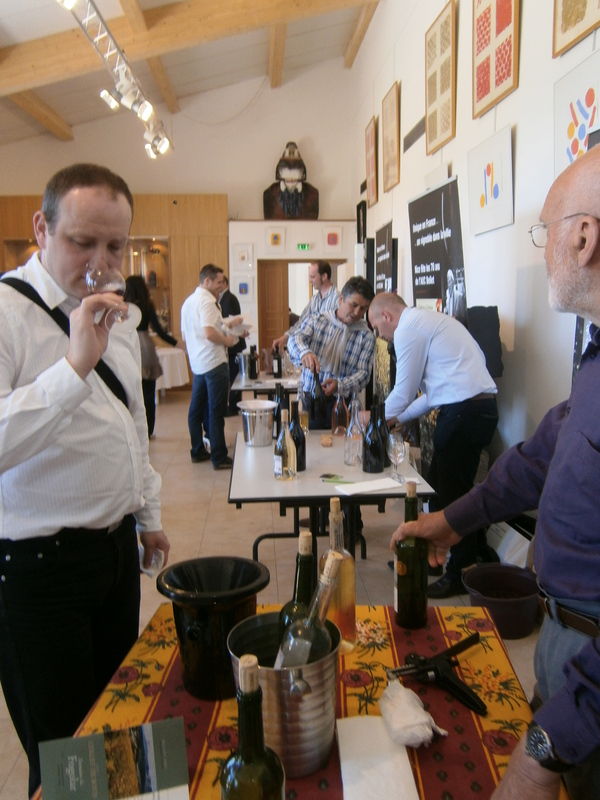 Every spring, in April or May, the Bellet appellation hosts its new vintage tasting. The tasting is important for the vineyards keen to show the wines currently available to the region’s sommeliers and wine shop owners as well as journalists. This year’s was held at Domaine de Toasc. Luckily, in a spring marked by cool, wet days, the weather remained perfect – bright blue skies, sunny but not too hot. Last week I attended the launch of the new 2008 vintage of white and rose Bellet wines at the Château de Bellet. Eleven domaines were present in the tasting room of the château with views over the hills of Bellet down towards the sea. Unfortunately it was an overcast day with grey blustery clouds threatening rain, so not quite the dream picture of the Cote d’Azur. The eleven domaines were Château de Bellet, Château de Crémat, Domaine de Toasc, Domaine de la Source, Clos St Vincent, Domaine Vinceline, Domaine Augier, Côteaux de Bellet, Via Julia-Augusta, Domaine St Jean and Collet de Bovis. After tasting so much Côtes de Provence rosé the week before, the difference with the Bellet rose’s was quite noticeable with the more pronounced red fruit and floral character of the Braquet showing through. Château de Bellet, Clos St Vincent and Domaine de la Source were especially good; interestingly all three were 100% Braquet. Of the whites Via Julia-Augusta, Clos St Vincent, Domaine de la Source, Château de Bellet and Château de Crémat were good with crisp fresh fruit and full creamy character. Of the reds, far fewer stood out. Côteaux de Bellet 2007, Clos St Vincent 2007, Domaine de la Source 2006 and Château de Bellet 2007 were the best. The hot question on everyone’s lips is the debate over rosé – should winemakers be allowed to mix red and white wine to make rosé?